Canada's federal spending watchdog has delivered a blunt and blistering critique of government bureaucracies, urging Parliament to learn from past mistakes and act quickly to catch up with the rapid pace of technology. 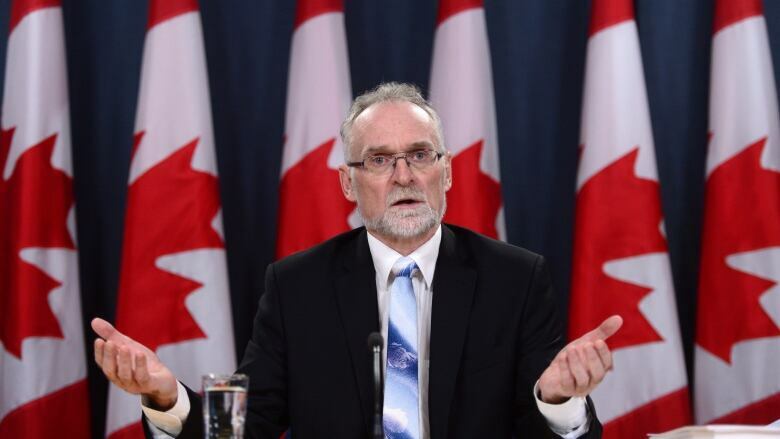 Auditor General Michael Ferguson tabled a series of seven reports today that found alarming gaps in government programs, from motor vehicle safety oversight that could put lives at risk to a chronically failed First Nations claims process he condemned as "beyond unacceptable." In an unusual prepared "message" delivered with his fall report, he implored the relatively new Parliament to adopt a radically new approach to governing to improve and speed up services for Canadians. "It is critical for government departments to understand that their services need to be built around citizens, not process — or they can expect that those services will be disrupted," he said. Over the past five years, Ferguson has presided over more than 100 audits and special examinations, but he lamented they have led to little action or real change. He also sounded the alarm about the government's failure to keep abreast with fast-changing technology. "In an age of instant communications, Canadians expect quick results, while governments are often stuck using old, slow approaches that fail to meet expectations," he said. Ferguson's review of Transport Canada's passenger vehicle safety oversight regime found the department did not maintain an up-to-date regulatory framework that responded to emerging safety risks and technological issues. That meant failing to ensure Canadian-driven cars, SUVs, minivans and pickup trucks had the highest possible safety features and technologies, the audit found. "While the department's oversight of vehicle safety defects and recalls was adequate, Transport Canada knew little about the critical safety issues that manufacturers were investigating in their vehicles," the report warns. "This limited the department's ability to identify safety defects early and to influence manufacturers' recalls." 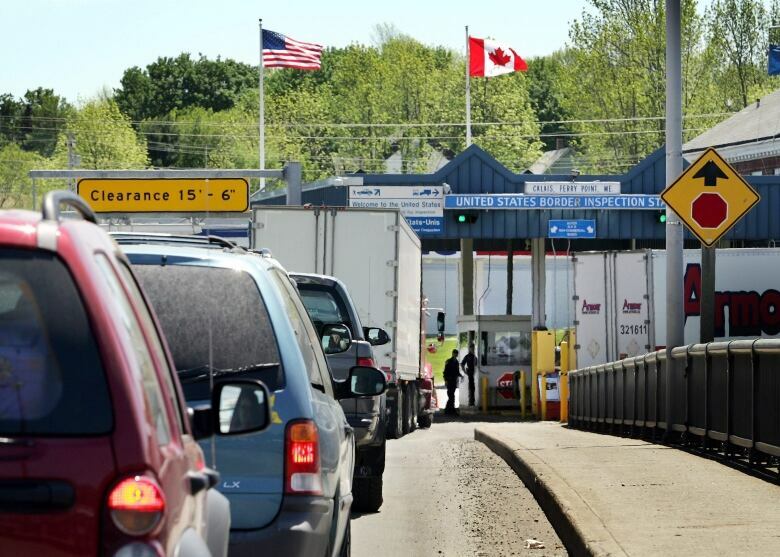 A running theme of a lack of performance measures and adequate oversight continued through Ferguson's review of the Beyond the Border Action Plan, a multi-pronged agreement first signed by Canada and the U.S. in 2011. The audit found that various departments leaped on board to carry out 34 initiatives of the "ambitious undertaking," but there were few measurements in place to actually determine if they are working as planned to strengthen border security and speed up travel and trade. But Ferguson reserved his harshest words for the government's treatment of First Nations and the persistent disparity in services and programs for Indigenous people in Canada, calling the situation and failure of leadership "beyond unacceptable." "Until a problem-solving mindset is brought to these issues to develop solutions built around people instead of defaulting to litigation, arguments about money and process roadblocks, this country will continue to squander the potential and lives of much of its Indigenous population," he said in the fall report's preamble. Ferguson told reporters he's exasperated that auditors flag problems and make recommendations to fix them, yet months or years later those problems persist. "It's frustrating to see that there's a lack of emphasis on what the citizen has to live through in these types of programs, and there needs to be a change on how these programs are actually delivered," he said. A parade of six cabinet ministers responded to the report in the foyer, each one agreeing with the findings and promising to do better. Treasury Board President Scott Brison said ministers have been mandated to improve service delivery and launched a program in July to set the government on course to get results. "We agree with the basic premise of the auditor general today, that we have to up our game as government," Brison said. "We have to deliver better results to Canadians, better value for taxpayers." Lengthy tax disputes: Auditors found the Canadian Revenue Agency takes far too long to settle tax objections, leading to a massive backlog and costly delays that can take years to resolve. In 2014, taxpayers filed 66,864 objections for disputes totalling $4.8 billion. As of March 31, 2016, the agency had 171,744 outstanding personal and corporate income tax disputes worth more than $18 billion of federal taxes. "Taxpayers who are not satisfied with their income tax assessments have the right to impartial and timely reviews of their tax returns. Taxpayers and the agency may incur significant costs in time and resources as a result of undue delays," the report reads. In the end, 65 per cent of the cases processed were decided in favour of the taxpayer for all or part of the disputed amount. Readying Indigenous inmates for release: Auditors found that most Indigenous offenders were more likely to be released directly from maximum or medium security prisons on statutory release dates rather than through a gradual release program. In 2015-16, 31 per cent of Indigenous offenders were released on parole, compared with 48 per cent of non-Indigenous offenders. "Offenders who have more time to benefit from a gradual and structured release into the community under supervision to the end of their sentences are less likely toreoffend," the audit notes. 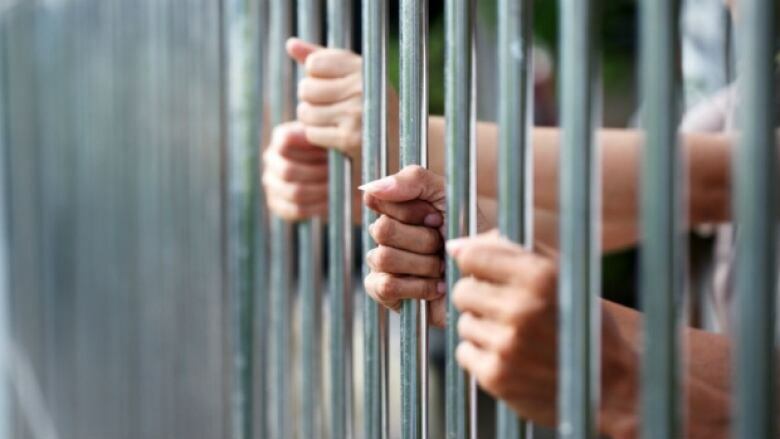 And while Correctional Service Canada provided rehabilitation programs to help them reintegrate into the community, the audit found Indigenous offenders did not have timely access to programs, including those specifically designed to meet their needs. First Nations specific claims: The audit concluded that Indigenous and Northern Affairs Canada did not adequately manage the resolution of First Nations land, legal and compensation claims. Funding cuts and a lack of communication between government and First Nations hampered negotiations and erected "barriers" to the process. Recruiting and retaining the troops: Auditors found the system the Canadian Armed Forces has in place did not work to meet the targets and objectives, both across the board and in certain occupations. The report also noted that while the military had established a goal of 25 per cent for female members, it did not have a strategy to achieve that goal and did not set targets by occupation for women. Military equipment maintenance: The audit examined six types of military equipment and found that National Defence failed to properly manage resources cost-effectively to meet operational and training requirements. "National Defence must plan above minimum needs so that it has sufficient equipment available to respond to changing circumstances," the audit says. "Decisions to purchase equipment such as surface combatants and next-generation fighter aircraft will need to carefully consider the equipment's full life-cycle costs to ensure that the equipment are put to their optimal use in a cost-effective manner."